Sun Yat-sen was China's first president and remains China's most international leader, as comfortable in the West as in his homeland. Although his party opposed Mao's in China's civil war, Sun is viewed by both sides as China's guofu, or father of the nation. Sun Yat-sen was born in 1866 in Cuiheng, a village in the very southern tip of Guangdong province, near the present day city of Zhuhai. Sun’s family was too poor to put their children through traditional Confucian education. Instead, Sun went to live with his older brother, Sun Mei, in Honolulu in 1882. There he absorbed foreign culture and religion, becoming a devout Christian. map by PhiLiP. [GFDL or CC-BY-SA-3.0], via Wikimedia Commons. On his return from Hawaii, Sun quickly moved on from his ancestral village, making the short trip to Hong Kong to study Western medicine. In 1892 Sun became one of the first Chinese students to graduate from the Hong Kong College of Medicine. Sun began practicing as a Western-trained surgeon in the neighboring Portuguese colony of Macau. Sun did not remain a doctor for long. In 1894 he left Macau and China behind, returning to Hawaii to found his first revolutionary organization, the Revive China Society. His revolutionary activities led him to be banished from his homeland. The flag adopted by the society remains part of the Taiwanese flag today. Sun’s revolutionary zeal was ahead of his time. While reformers like Feng Guifen and Li Hongzhang were still arguing that China could be fixed from within, Sun argued for the overthrow of the Qing from very early in his career. His attitude may have been cemented when a letter he sent to Li Hongzhang in 1894 offering his services to the eminent self-strengthener went unanswered. The letter clearly showed Sun was already thinking about the role wealth and power would have to play in China’s rejuvenation. "In the West the interests of the state and those of commerce flourish together...National defense cannot function without money, and money for the military will not accumulate without commerce. The reason why Westerners are ready to pounce like tigers on the rest of the world and why they bully China is also due to commerce." In 1911, Sun fell in love with his young secretary, Song Qingling. Song was the daughter of one of China’s most Westernized families. Charlie Song, her father, was a Vanderbilt-educated devout Christian, who had made a fortune as an entrepreneur in Shanghai. Sun and Qingling were married in 1915. Song Qingling’s older sister Ailing married a prominent Chinese banker, while her younger sister, Meiling would marry Chiang Kai-shek, tying the Song family deeply to the Chinese republican cause. Hong Kong Director Mabel Cheung created a film about the three Song sisters in 1997. When the Qing Dynasty finally fell in 1911, the collapse was sudden and uneventful. Sun, traveling in America at the time, learned of the fall of the Qing from his morning paper. Sun returned to China at the invitation of the successful revolutionaries to be sworn in as China’s first president in 1912. China was in chaos, with rival factions carving out territory from the Qing’s empire. Sun’s most powerful rival was Yuan Shikai, who had built a strong base of power in northern China in his role as a top Qing military leader. Sun’s presidency lasted only 45 days. When Yuan began to flex his muscles, Sun decided it would be politically prudent to abdicate in his favor. Sun turned his attention to forming the Guomindang (国民党), or Nationalist Party. In 1919 the Soviets, under Vladimir Lenin, dispatched Lev Karakhan to China to meet with Sun. Karakhan took the unprecedented step of freely and willingly relinquishing all Russian territorial concessions in China. Russia’s anti-imperialist moves got the attention of Sun and the Chinese people, who finally felt they had found an ally in their struggle against Western predation. Lenin’s implication that colonialism in Asia was actually part of Marx’s grand narrative for the global communist revolution offered China a new sense of belonging in world affairs. Like earlier reformers we’ve looked at, Sun drifted back towards more traditional parts of Chinese culture as he got older. When Liang Qichao shocked China with the announcement that Japan had claimed all of Germany’s territorial concessions in the wake of World War I, riots broke out in Beijing. 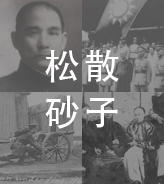 Spurred on by the New Culture Movement and Chen Duxiu, the Chinese intelligentsia protested Japanese imperialism and cast off traditional Chinese culture. Sun was not supportive. Seeing the protests as unorganized and undisciplined, he felt they were detrimental to the cause of reunifying China. Sun began to feel that traditional Chinese loyalty to family and clan might provide the social cohesion necessary to drive unification. Ultimately, like so many other reformers had late in their lives, Sun became a proponent of protecting China as a traditional culture and the Chinese people as a race. He had hoped that with the end of the alien Manchu Dynasty, the country would achieve a new state of equipoise. But as the situation continued to unravel, he, too, found himself turning to those very reserves of traditional culture and social structure for support." With prompting from Russia, Sun arranged an alliance between China’s Nationalist and Communist parties in 1923 to fight the remaining colonial powers and work towards reunification. The great legacy of this move was the cementing of Sun’s role as the father of modern China in the eyes of both the Nationalists and the Communists. Sun Yat-sen still plays an important role in the creation myth of today’s Chinese Communist Party. If Sun’s political legacy remains his title of guofu (国父), or “father of the country,” his intellectual legacy is a series of lectures he gave to students in Guangzhou laying out his “Three Principles of the People,” the sanmin zhuyi (三民主义). Sun’s second principle concerned “the rights of the people,” minquan zhuyi (民权主义). Here Sun laid out his vision for China’s political system to come, a mixture of democratic and autocratic elements. While nominally a pro-election republican, Sun was hardly a democrat. Sun believed a strong, Leninist brand of centralized leadership would give China the strength and cohesion it needed. Like so many other Chinese reformers and even revolutionaries, when push came to show, Sun came down on the side of order, not the rights of the people. The last of Sun’s principles outlined “the people’s livelihood,” minsheng zhuyi (民生主义), touching on economic reform. Sun advocated wealth and land redistribution, while explicitly attempting to distance himself from Marxism. Sun was neither a great writer, nor a great thinker, nor a successful political leader. But his influence on modern Chinese politics remains. Sun, while theoretically supporting democracy, believed China would require three stages of political transformation before putting democracy into practice. Sun, like Liang Qichao, saw the need for a “period of destruction,” followed by a period of “political tutelage,” followed by the implementation of a “constitutional government.” Sun bequeathed this idea of a political waiting period to China’s current leadership, who have stated that China remains on a path to eventual democracy. Sun died in 1925, and was honored nationwide for his role in China’s revolution. His mausoleum in Nanjing rivals the tombs of the Ming emperors, China’s last Han dynasty, a complex of gardens and marble palaces still popular with tourists today.